In the United States, we typically enjoy a power infrastructure that delivers electricity at a relatively steady and uninterrupted rate. But, during the odd thunderstorm or heavy snowfall, even our robust electrical grid can be taxed, often causing residents in the affected area to lose power. In those areas where storms are more frequent, or where the electrical grid has other significant issues, power outages can be a constant problem. Residents living in such areas should consider installing a portable generator and manual transfer switch combination in order to keep the power flowing to the the home’s most important appliances during these frustrating blackouts. 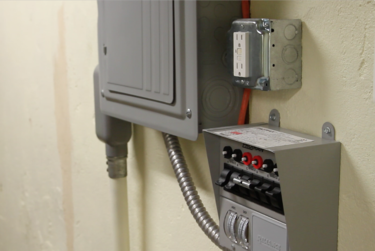 Additionally, an electrical outlet, incidentally called a power inlet box, is usually installed on the exterior of the home and connected to the transfer switch by electrical wiring. So, how does the transfer switch work? 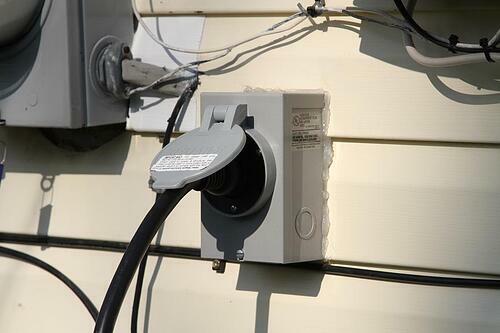 This is where that electrical outlet (the power inlet box) which was installed on the exterior of the home comes in. Because it is not advisable to run a gas powered generator indoors, the generator will be connected to the power inlet box in the case of a power outage. First follow the manufacturer's instructions regarding putting all of the power switches to their proper settings, then start the generator and connect it to the inlet box. You will then be able to go back to the (indoor) transfer switch and decide which appliances you wish to power with the power being routed in from the generator. 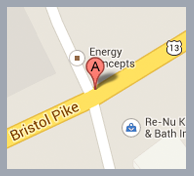 Remember that this is a good solution in a pinch, but it is not meant to provide electricity permanently. 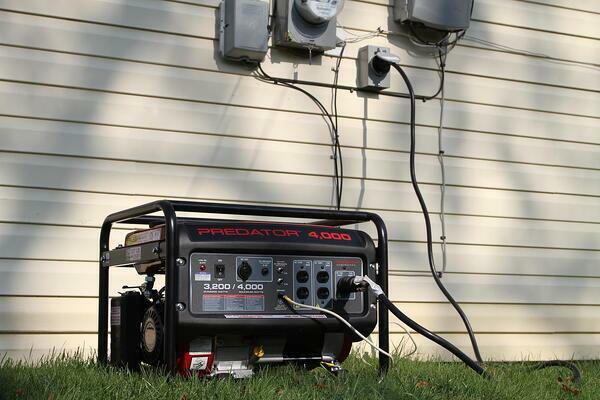 Also, the generator is probably not capable of powering all of the home’s appliances, so choose carefully. Overall, be sure to read the manufacturer's manual thoroughly. Transfer switches come in various sizes and power ratings. For larger homes the 10 circuit transfer switch is often paired with a 7500 watt generator, while the popular six circuit transfer switch is generally designed to work with a 5000 watt generator.